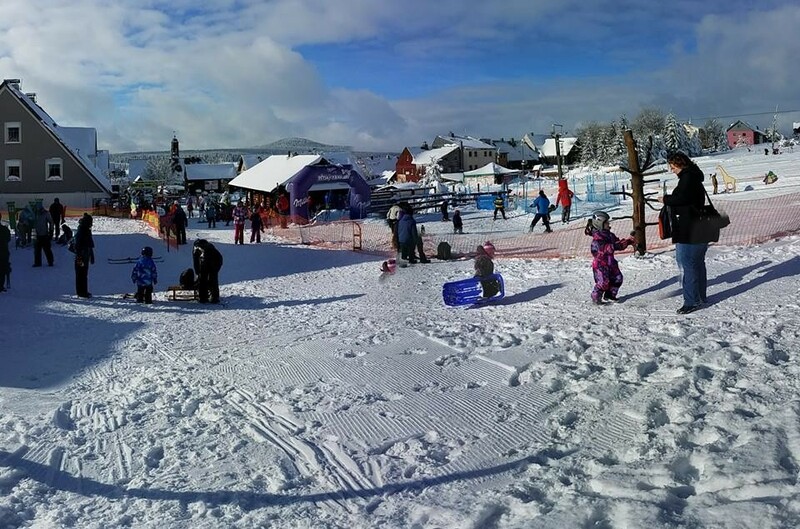 Small ski resort NOVAKO is located in the west Bohemia, in the Ore Mountains, right in the center of village Bozi Dar. Thanks to its mild ski terrain is designed especially for beginners, families and seniors. Blue, 350 m long ski slope and playground serves modern Doppelmayr lift. The area is well equipped by ski and snowboard rental, ski and SB service,ski school and ski shop. There are also dozens of kilometers of cross-country trails around Bozi Dar. Get Snow Reports, Powder Alerts & Powder Forecasts from Boží Dar - Novako straight to your inbox!